My fingers aren’t as nimble as they once were, a fact proven to me when TechHive tested mobile phone keyboards. Turned out that I had the worst typing speed of all the participants involved. So it took a good while for me to get the hang of the controls in Chillingo’s Mega Dead Pixel 1.0.4. Once my fingers loosened up, I was able to really enjoy the game. Mega Dead Pixel is a runner, a type of game where the screen is constantly moving and you have to move your avatar. In this case, you’re a pixel, you’re falling, and you have to avoid obstacles that look like they were left behind by an old Atari 2600 game console. 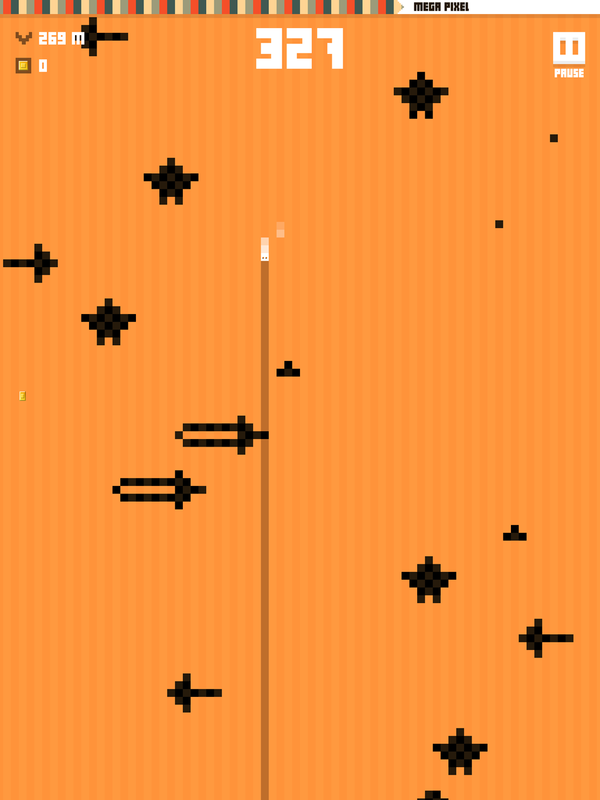 The need for precision control comes in when you need to “paint” an obstacle by passing next to it, which calls for tapping on the left or right side of the screen to move your pixel. 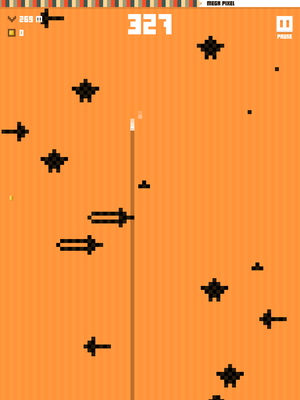 This is how you mainly score in Mega Dead Pixel. Mega Dead Pixel isn’t all about avoidance. There are coins you pick up, and white pixels to run over and make your own pixel bigger. With a bigger pixel, you can smash into obstacles to score, but each time you smash something your pixel reduces in size until you shrink back to the one-pixel unit and go back to dodging obstacles. When you paint several obstacles in short succession, you become a Mega Pixel and you zoom downward, demolishing anything in you path in a satisfying break from painting. Mega Pixel status doesn’t last long, though, and you’re back to painting. Obstacles often appear in clusters, making it necessary to quickly move out of the way, and this is where my inability to tap fast enough—or be able to tap and hold down to move several columns, but lift my finger in time to stop from ramming an obstacle—is a hindrance. You learn to look ahead on the map so you can plan your movements, but the temptation to pick up coins and white pixels is great and if you give in, you can end up in a hard-to-maneuver situation. You want to pick up coins so you can get the power-ups. Mega Dead Pixel has a series of goals for you to achieve so you're feeling of accomplishment is reflected in more than just a score. 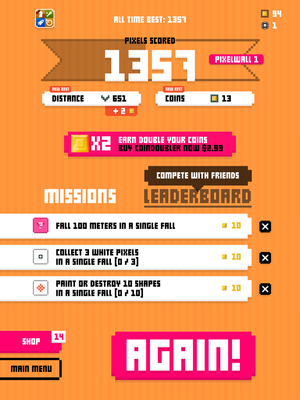 Mega Dead Pixel is free, but Chillingo offers several game enhancements as in-game purchases. Mega Dead Pixel has a basic premise, but it’s still challenging. 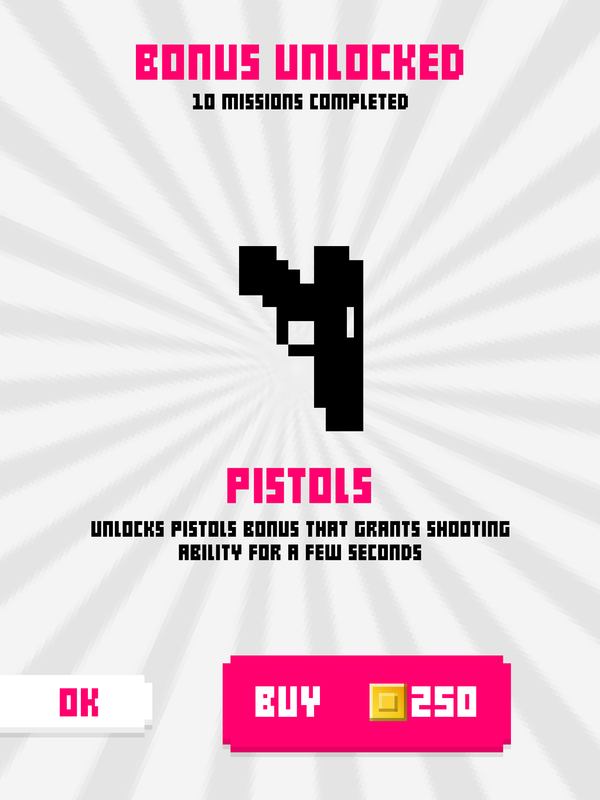 Combined with the 8-bit style graphics and retro soundtrack, Mega Dead Pixel is a fun take on the runner game.